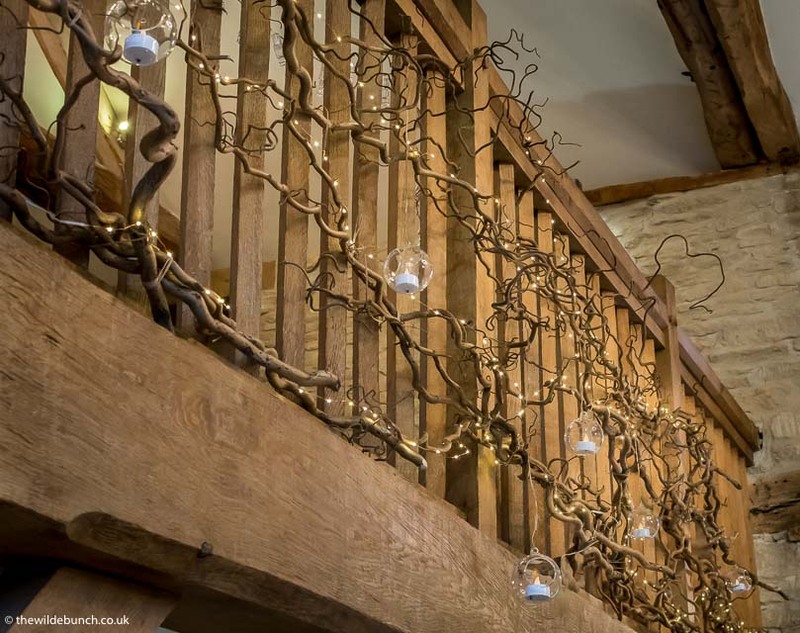 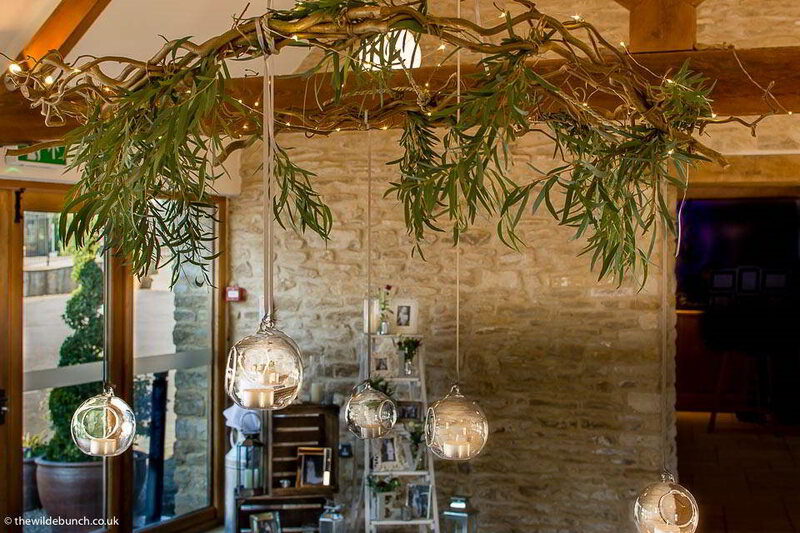 Kingscote Barn is an outstanding ‘Stone Barn’ wedding venue in the Cotswolds. 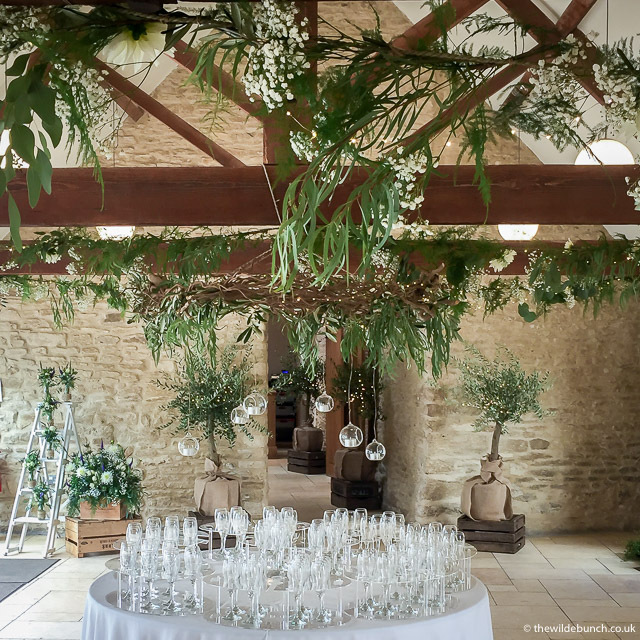 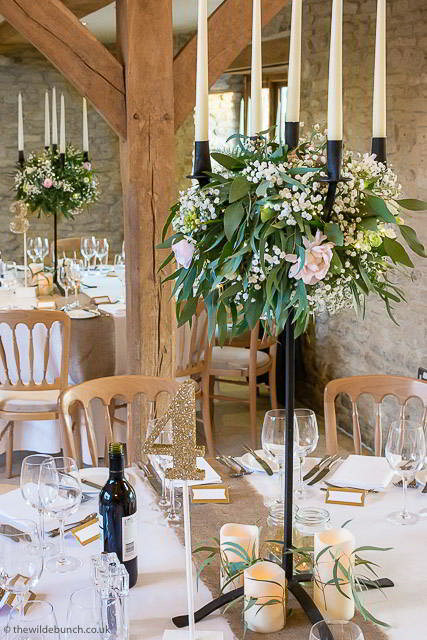 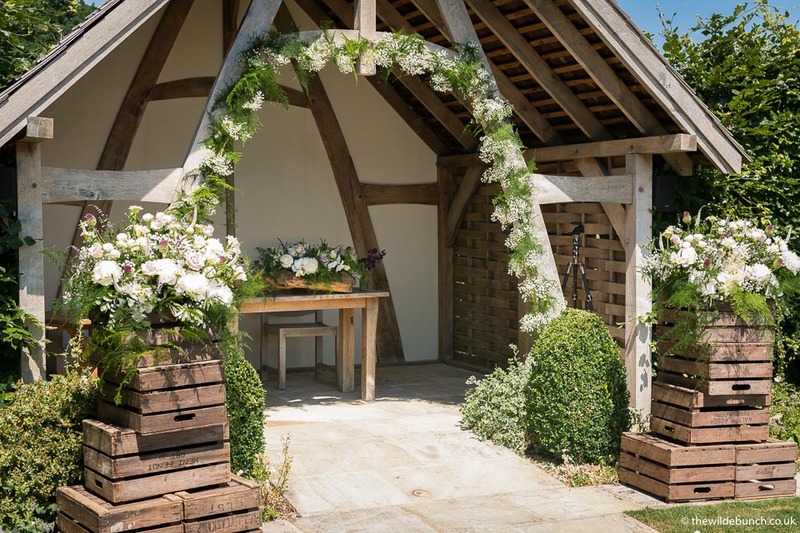 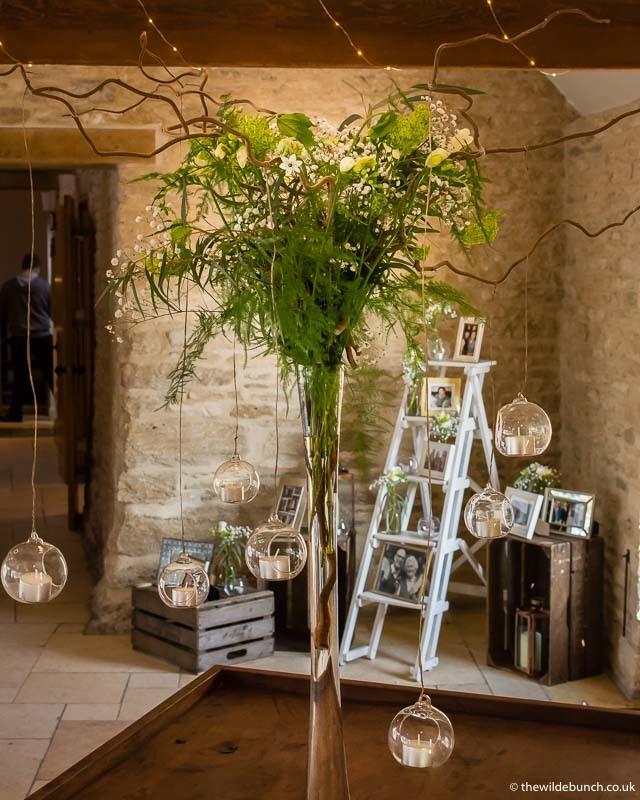 As specialist Wedding Florists working across the South of England, Kingscote Barn is one of a select group of venues in our ‘Little Black Book’ that stand out above the rest. 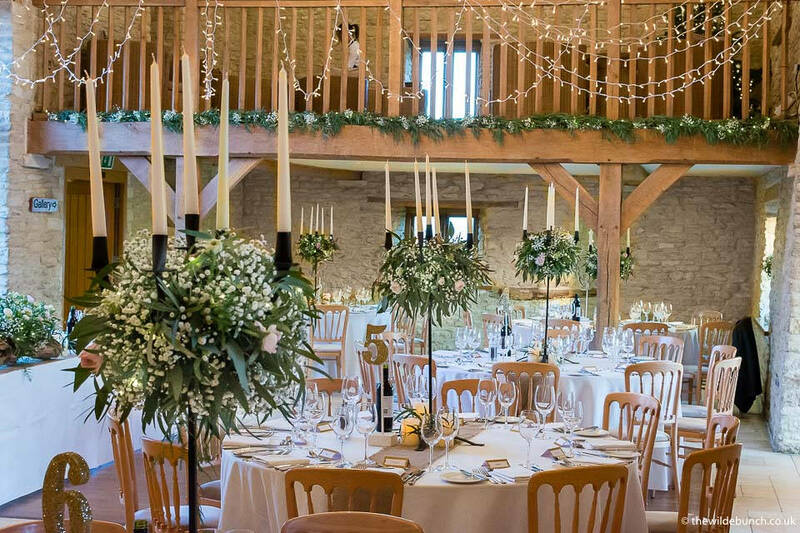 The owner and Event Team are superb and the recommended list of suppliers has been hand-picked over time to provide the very best a couple could wish for, to make their ‘Big Day’ perfect. 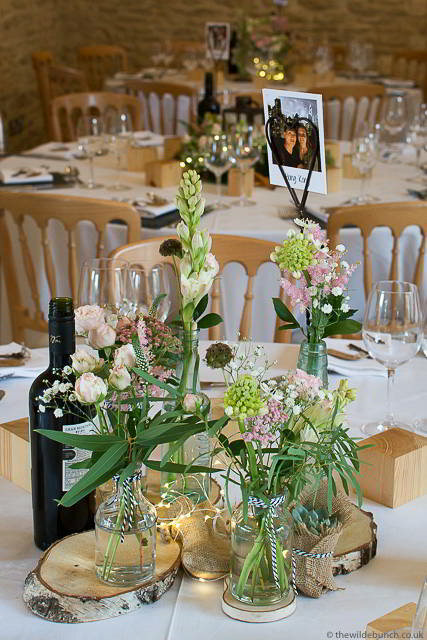 We are very proud of our recommended florist status at the venue. 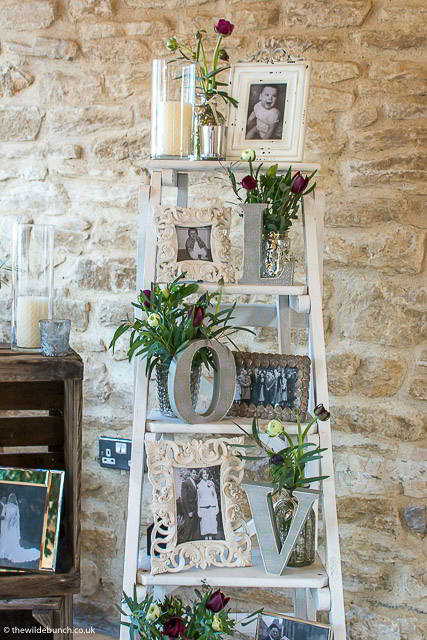 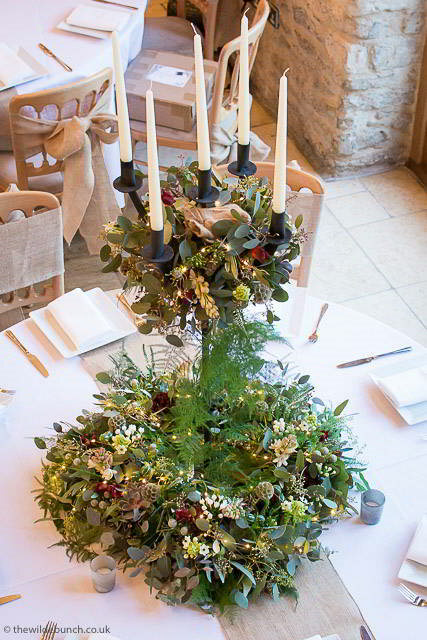 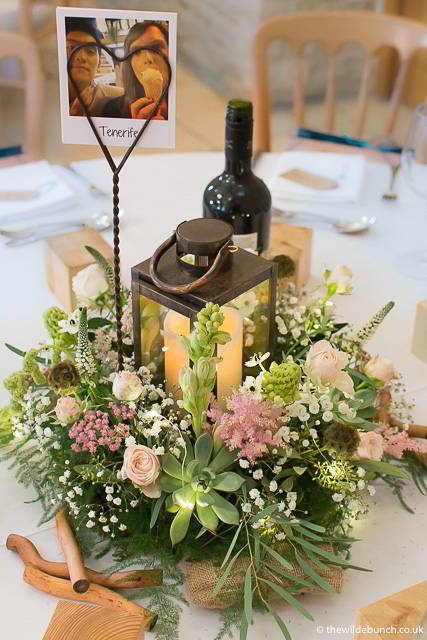 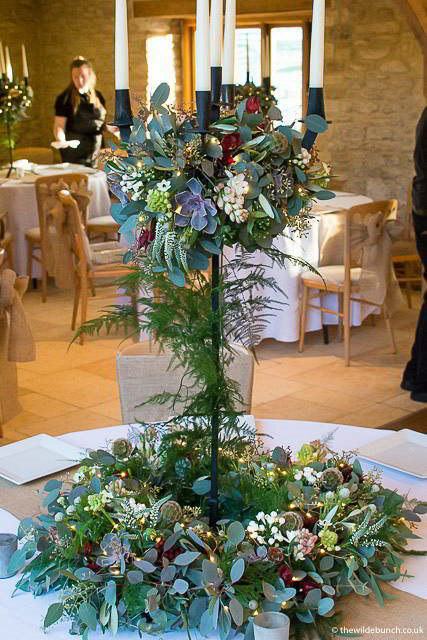 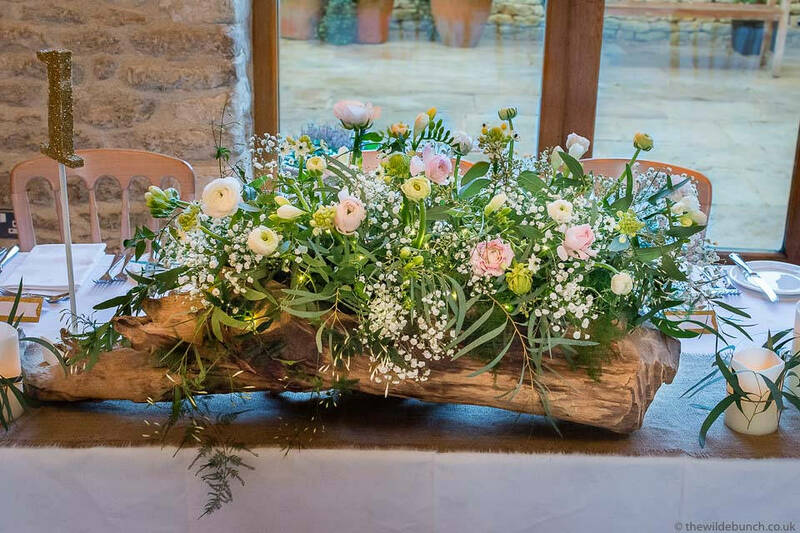 So… Why choose The Wilde Bunch for your wedding flowers at Kingscote Barn? 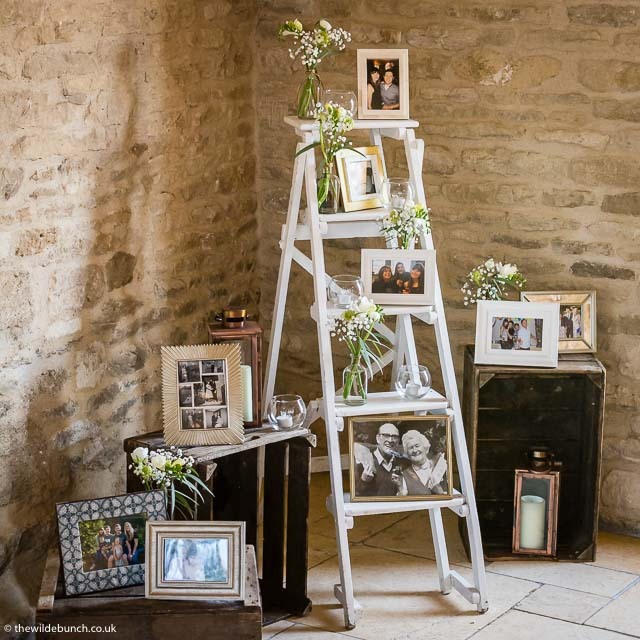 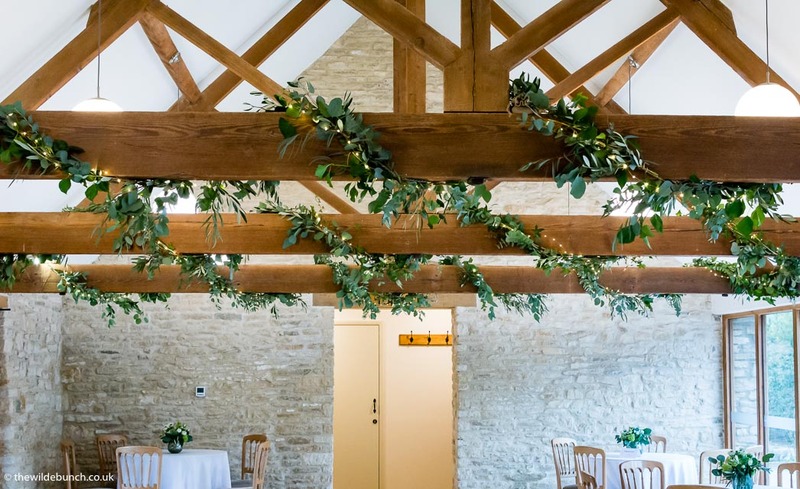 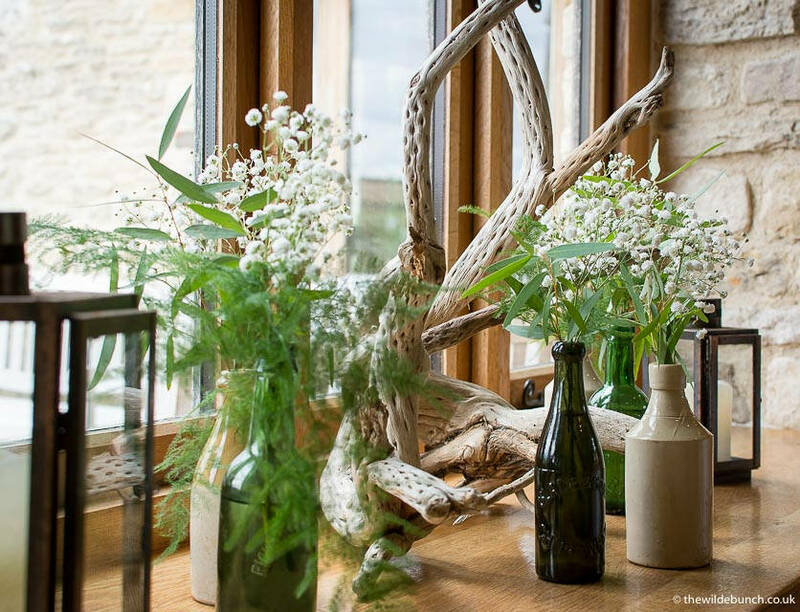 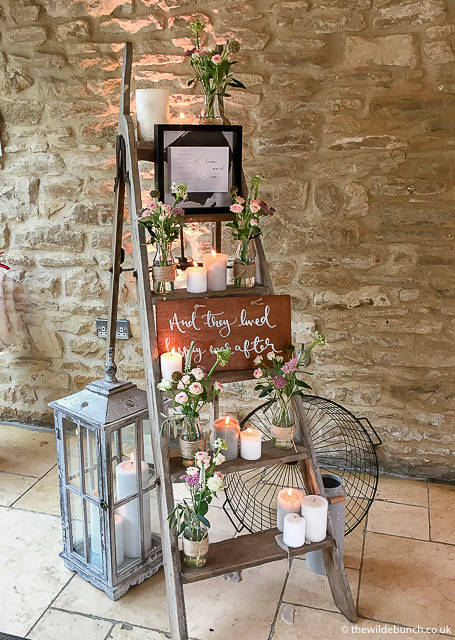 The Wilde Bunch have led the field in Rustic wedding design at ‘Stone Barns’ across The Cotswolds, Somerset and Dorset since the style first made the pages of Wedding magazines. 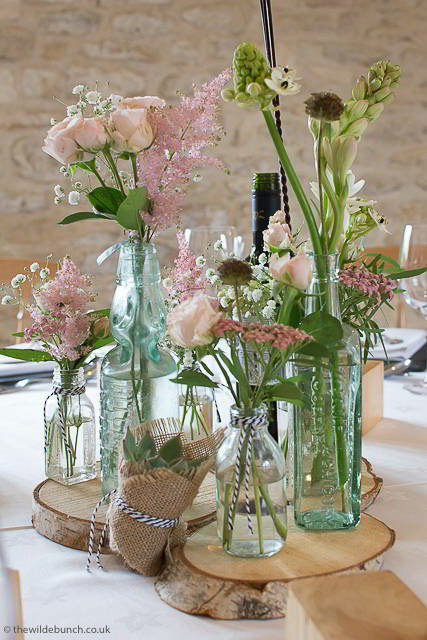 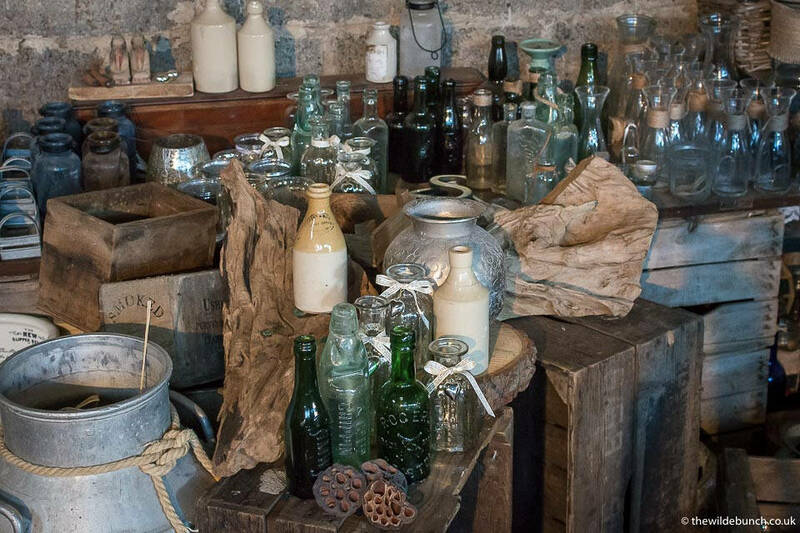 And remember… All Wilde Bunch props used to hold our floral designs come with no hire charge to our Brides. 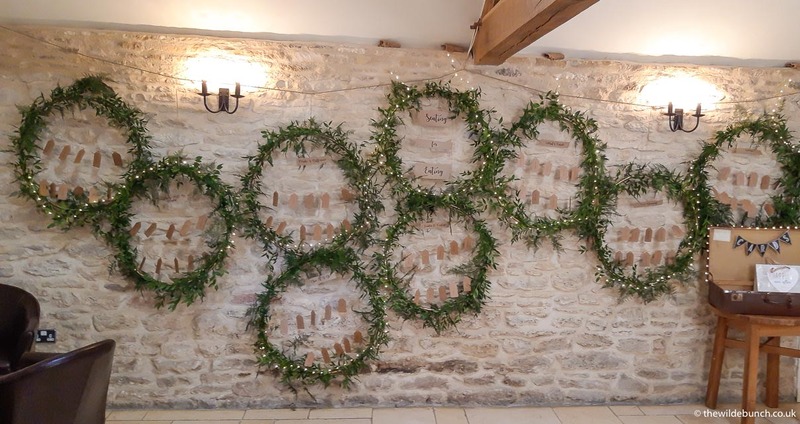 You only pay for the floral designs… we are happy to loan you the props for the day… We have everything a Bride could desire to transform Kingscote Barn into a magical wedding experience. 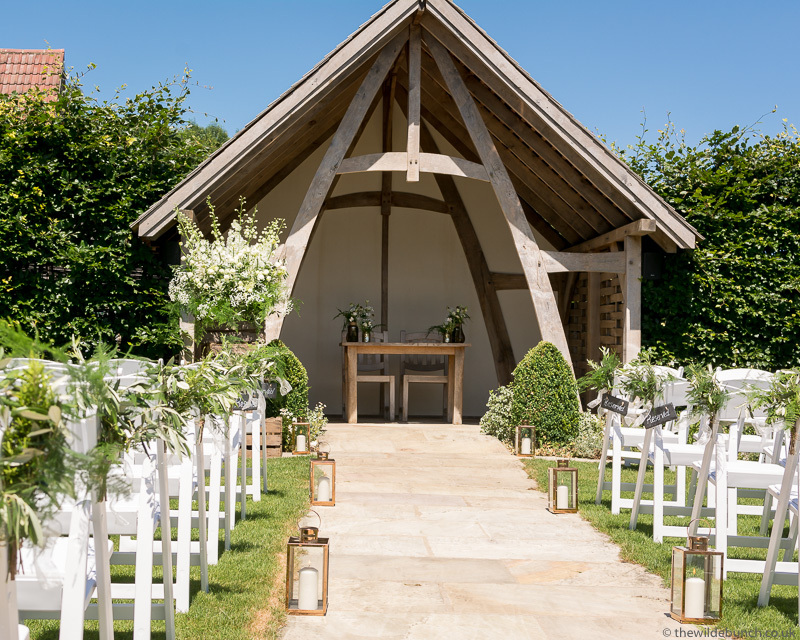 Thank you so much for making Laura and James’ wedding so beautiful. 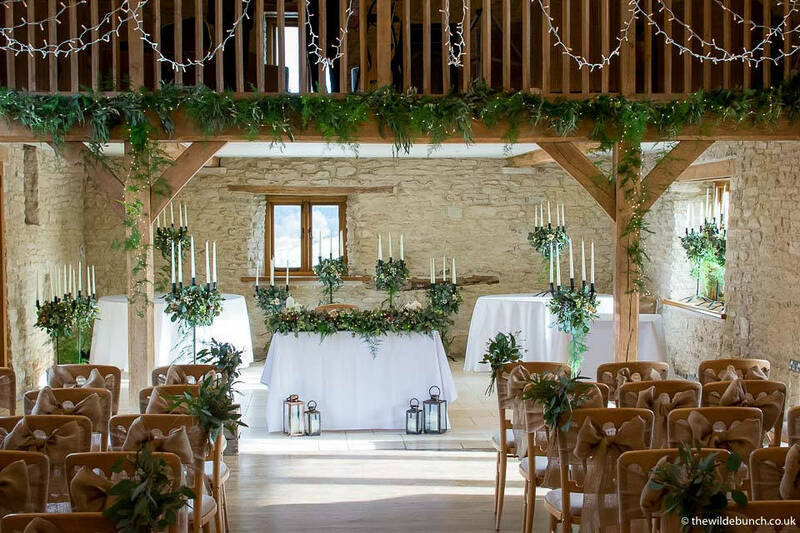 The barn looked amazing all day. 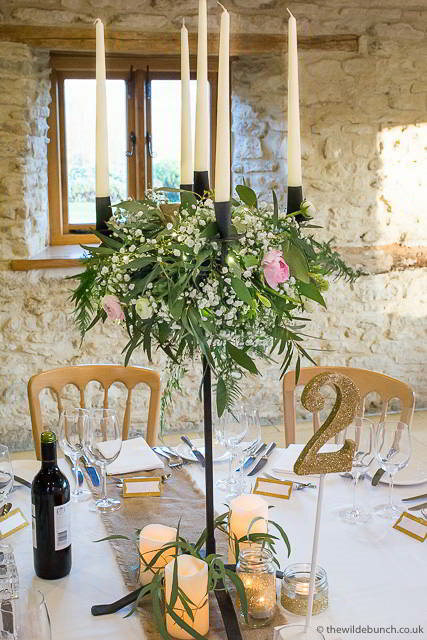 So many people commented on how elegant all the floral decorations were. 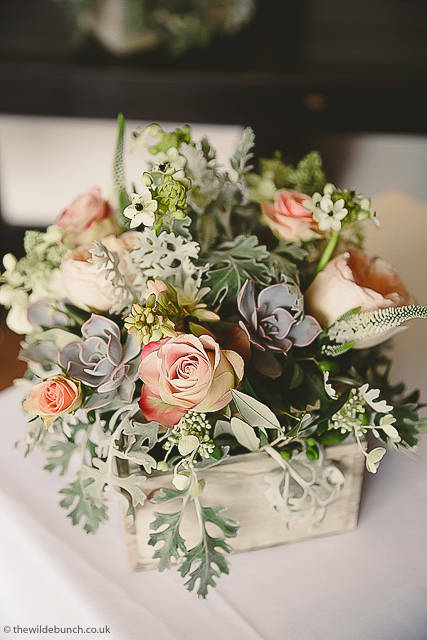 The bouquets were stunning and were absolutely perfect with Laura’s dress. 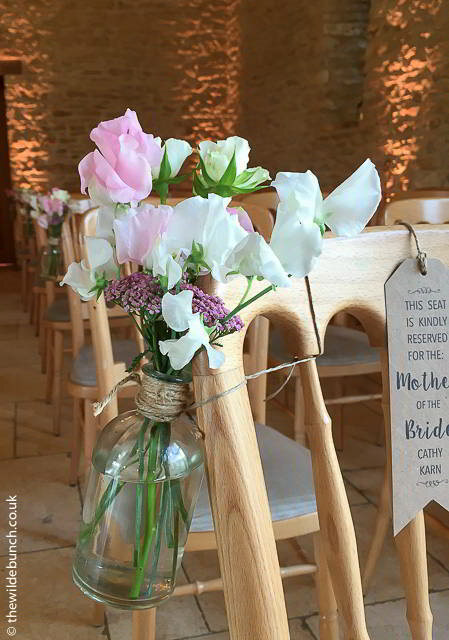 Many thanks also, for being so easy to work with, as I was delegated the flowers to organise and you made my job very easy and enjoyable.